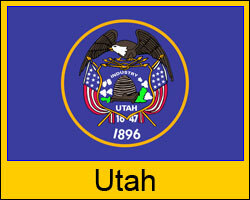 A metal roofing system makes a great choice for the state of Utah where it is often dry with little precipitation. Its desert-like environment can be quite cool in the winter, but really hot on some summer days. This can wreak havoc on your energy bill due to the constant fluctuating temperatures. Why metal roofing in Utah? Withstands extreme heat and cold weather. Metal roofing has a very long long lifespan. Additionally, most of our products come with a 30 to 50 year warranty to back that up. Metal roofing is able to withstand windstorms and gusts of as much as 120 mph. Environmentally friendly, our roofing is crafted using recycled metals. Energy efficient, it will help to keep your home cooler in the summer and warmer in the winter. Additionally, many of our products qualify for the Energy Star tax credit. Ready for prices? Then to go to our design and price center and get prices now! Prices are valid for any area within Utah and some shipping restrictions do apply. Click here for details on shipping to your job site. We serve Provo, Weber, Salt Lake, Iron, Davis, Cache and every Utah town and community in between. We offer many different profiles and the widest selection of popular finishes. With access to more than eight manufacturing facilities across America, you can count on our job site delivery and customer service before and after the sale to fit virtually any application and budget.